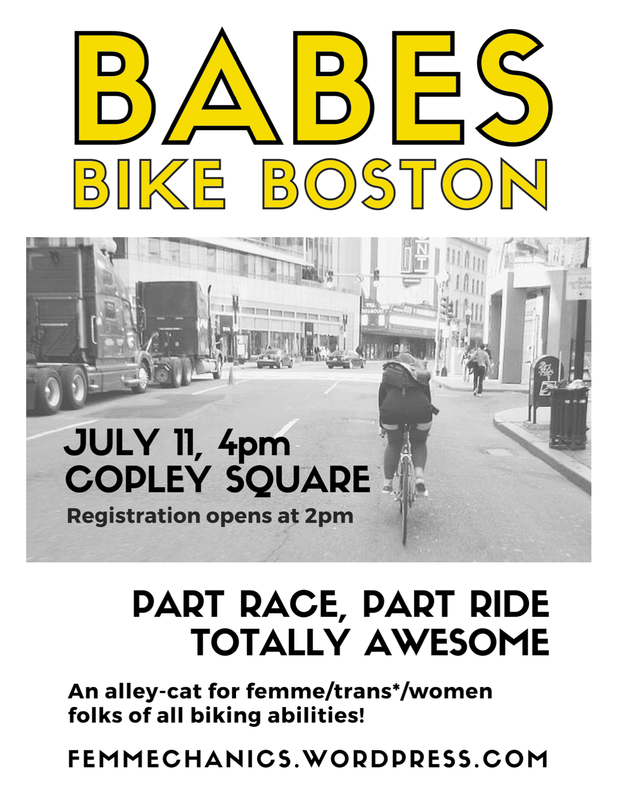 The first annual Babes Bike Boston alleycat has come and gone, and the event was a total success! In total, 58 FTW babes rode and raced through the streets of Boston. 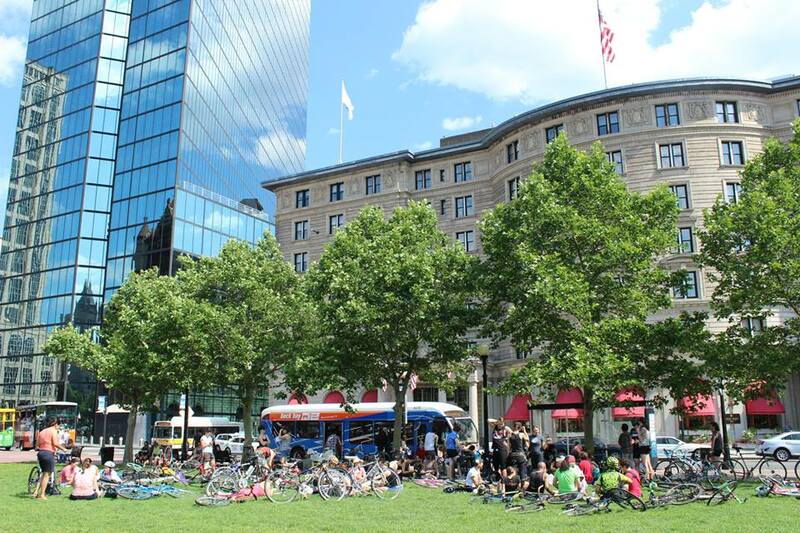 There is nothing more beautiful than seeing Copley Square full of babes buzzing with excitement, their bikes laid out across the lawn, and folks asking what the heck is going on. As organizers of the event, we are so proud of everyone who participated – people who rode, people who raced, and people who decided to push themselves to try something new. We are especially proud of folks who showed up to the pre-Babes ride and to Babes alone, because it takes a lot of courage to show up to an event and not know anyone! 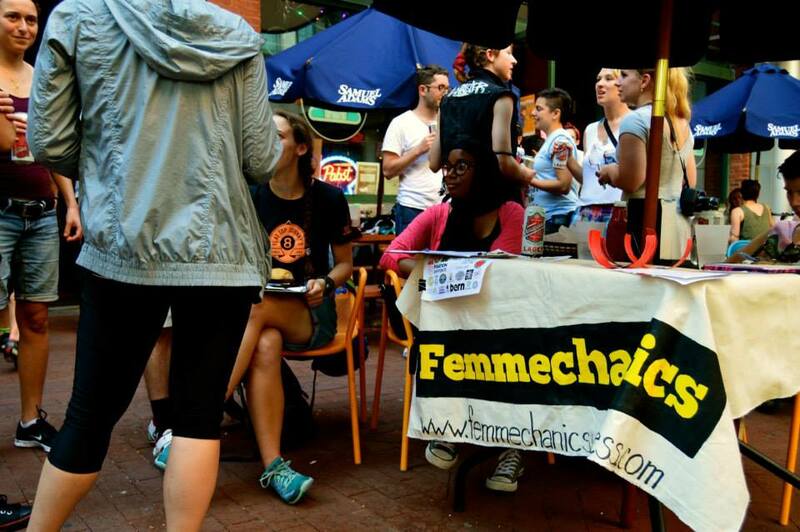 We believe it says a lot about the environment that Femmechanics is trying to create – that people felt like they could show up to this by themselves knowing they would still have a great time. Thank you to all the volunteers who helped run checkpoints, took photos, and helped out at the finish line – this wouldn’t have been possible without you. 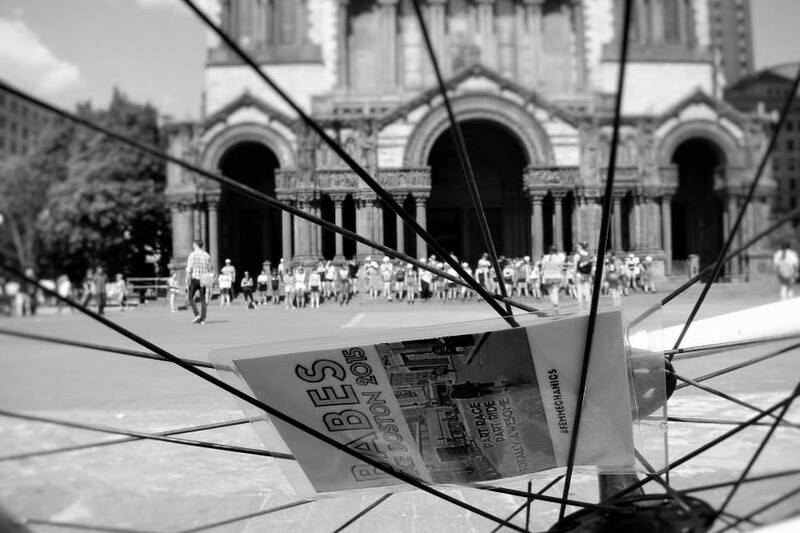 It feels great to know that our Boston bike community has our back! We also want to give a special thanks to all the sponsors of the event. We received a humbling amount of support from the community for this event, and we believe that really speaks to the fact that bike companies, local bike shops, and local businesses want to support FTW bike culture. Remember – support them because they support you! Thanks Surly Bikes, Banjo Brothers, Twin Six, Craft, Trash Bags, Kryptonite, Back Bay Bicycles, Revolution Bicycle Repair, Pike Powder Coating, Fyxation, Giant, Somervelo, Marathon Sports, Red Bones, Bern, Bikes Not Bombs, El Pelon, Tres Gatos, Diesel, Cuisine en Locale, Flatbread, Cuppow, Al FreshCo, Bella Luna, Ula Café, Boston Organics, Hubway, JP Licks, and Landry’s. Of course, a huge thank you Flat Top Johnny’s for hosting an awesome after-party! It was so awesome to see lots of folks come out to the finishline to celebrate all the rad FTW babes who participated. A special shout out to Kate Ziegler (also part of the organizing team) for putting together all the great graphics! You can check out all the photos on our facebook album here, and race and ride results below! Thanks, and see you at next year’s Babes Bike Boston! Previous Previous post: We’re going camping! Next Next post: Grease Time at HUB: Up & Running!